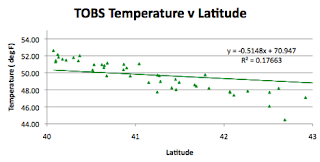 Heading south from South Dakota one comes to Nebraska, as I wander around the states comparing the GISS temperatures, the USHCN homogenized temperatures and the TOBS (Time of Observation corrected) raw data for the stations of the state. 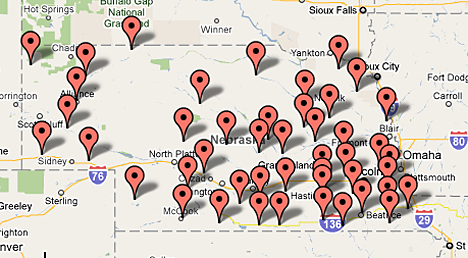 Nebraska has 46 USHCN stations but as with some earlier states the stations seem, in general to be close to the interstates, and as with SD concentrated more in the south-east. 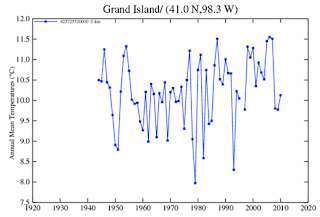 There are three GISS stations in Nebraska on Chiefio’s list, and these are in Grand Island, Norfolk and North Platte. 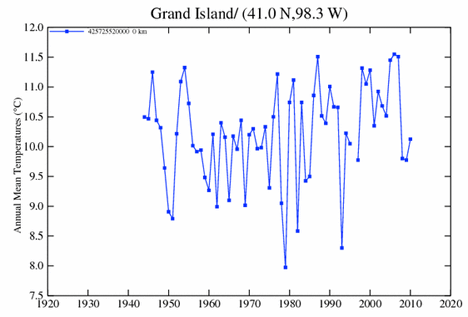 And, out of the gate, Grand Island has only got temperature records since 1944. 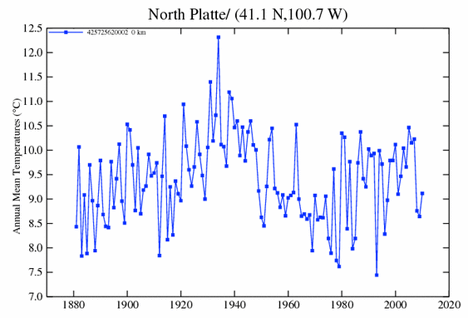 And that leaves North Platte, which has a full record (I was beginning to get a little worried). 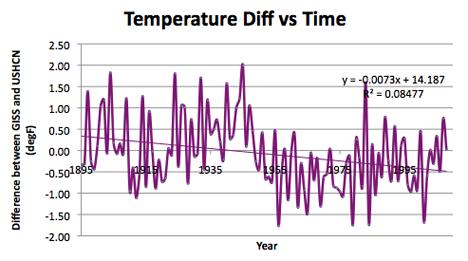 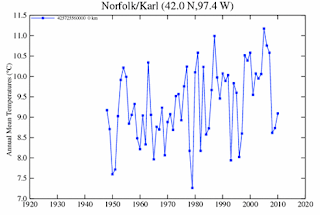 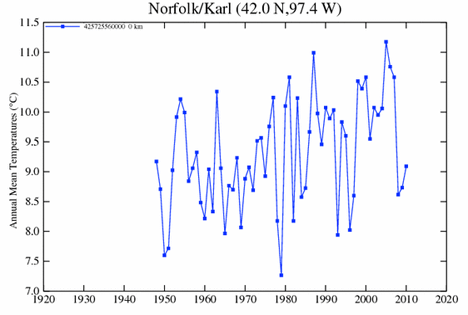 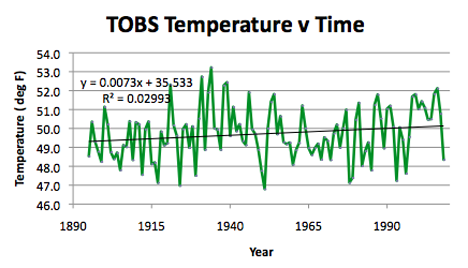 It shows a steady rise in temperature, pre-1940, which the other stations obviously cannot. Inputting the temperature data was otherwise straightforward, and although many of the stations are in small communities it was not until I got to Purdum that I had to use zip-area-code, rather than citi-data for the population (97). 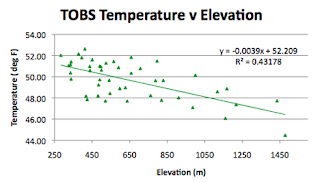 And that is the only one. As I have come to expect the GISS stations are in the larger communities (average 31,423) relative to the average USHCN station (2,912). 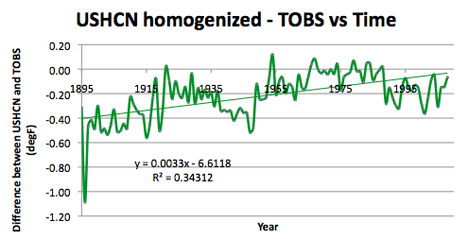 The effect of the truncated data from two of the GISS stations can be seen in comparing their average to that of the USHCN stations, the overall average difference is, for this state, only 0.07 degrees. 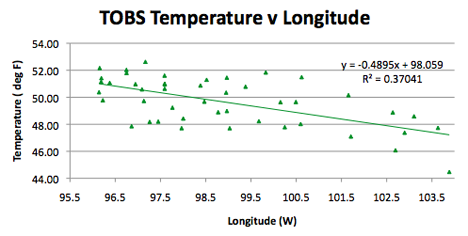 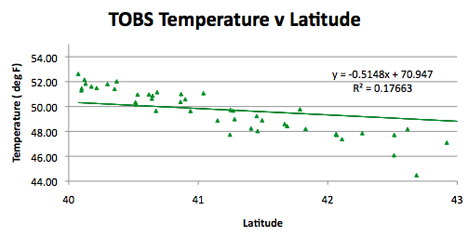 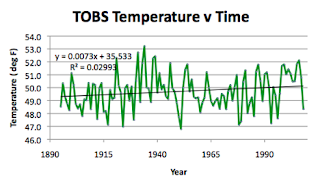 Overall, turning to the TOBS data, the state is warming at the rate of 0.7 degrees F every century. 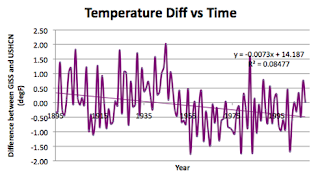 The homogenized data would suggest that the rate is 1.2 degrees F per century. 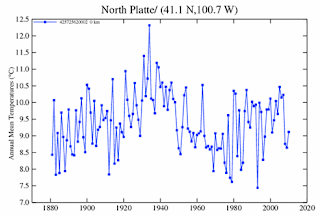 As far as the geography of Nebraska goes, it is 430 miles long and 210 miles wide, stretching from roughly 95.5 deg W to 104 deg W, and from 40 deg N to 43 deg N. The average elevation of the state is at 792.5 m (ranging from 256 m to 1,653 m). The average USHCN elevation is 650 m and the average GISS station is at 628 m.
And the apparent fall in temperature as one moves West. 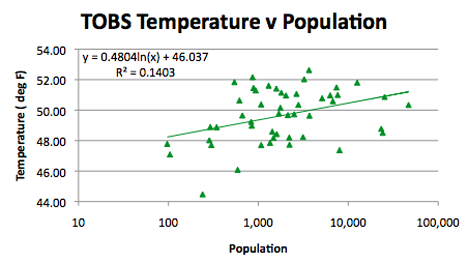 Turning to population, again the largest populations are with the GISS stations, which I have included in this plot. And finally there is the difference between the homogenized data that USHCN produces, and the raw data that has been corrected for time of observation.